The Wyulda is one of only three species of possum that shelter exclusively in rocks. Frequent, intense fires negatively impact this species, by reducing the density of fruiting trees for them to feed on. AWC’s fire program (Ecofire) is helping to increase the amount of fruiting trees for Wyulda to feed on. 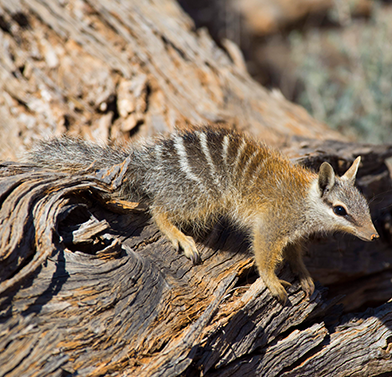 AWC recently conducted research on the Wyulda with a PhD student, which demonstrated that the Wyulda relies heavily on fruiting trees for forage and will travel long distances to visit them when they’re in season. AWC’s fire program (Ecofire) is reducing the amount of long unburnt vegetation, helping to increase the amount of fruiting trees for Wyulda to feed on. Frequent, intense fires appear to negatively impact Wyulda due to decreased density of fruiting trees, decreased fruit yields and reduced habitat heterogeneity. Four fifths of the Wyulda’s tail is covered in scales (hence the name) and the remainder at the base of their tail is furred. 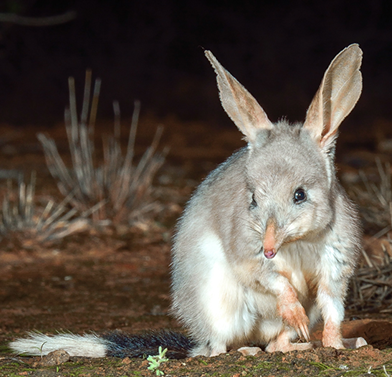 Wyulda’s are pale grey with a dark stripe running down the centreline of their back. They can grow up to 2kg and have a head body length of up to 400mm. The Wyulda is one of only three species of possum that shelter exclusively in rocks. The Wyulda inhabits very structurally complex, rocky landscapes and shelters during the day deep in rock crevices or piles. This species inhabits open woodland, closed forest and rainforest pockets. It forages mainly in trees for flowers, seeds and fruit. 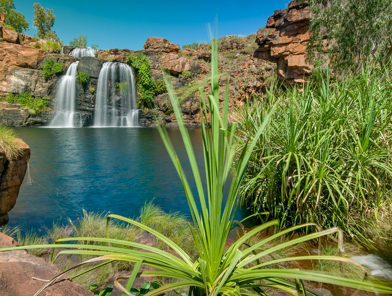 The majority of Wyulda records are presently from the western Kimberley where the annual rainfall is above 900mm. Its former range likely extended throughout the central Kimberley and it appears to have all but disappeared from most of these drier parts of its range. 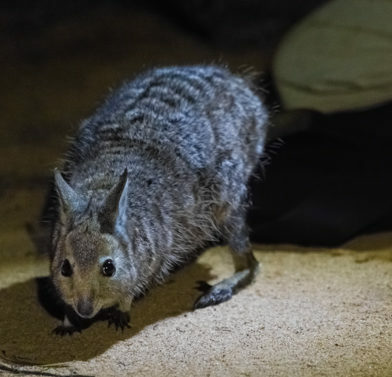 Wyulda was recently (2018) discovered by AWC at Bullo River Sanctuary, the first ever record of this species in the Northern Territory.